Everybody has the same twenty four hours in a day. This is a little nugget of truth that I’ve been saying to myself a lot lately. We don’t all have the same amount of money or the same privileges, but we do have the same amount of time in a day. It’s up to us how we choose to view and use that time. It’s entirely up to us how we make use of the time that we’re given. For this reason, I don’t believe that you can make more time in your day. However, I do think that you can find hidden pockets of time that will make your day feel longer. I’ve recently been focused on figuring out how to maximize the hidden pockets of time in my own schedule. Focusing on these small pockets of time has allowed me to get more done in less time. It has also allowed me to feel like I’m actually keeping up with things that had fallen to the wayside right after Baby Fox was born. 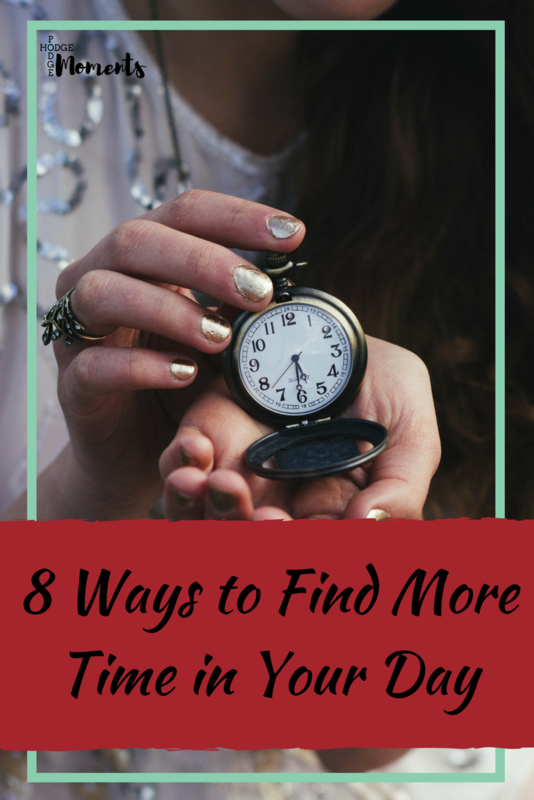 Today, I thought I’d share a few of the tips I’ve been using in my own life to find more time in my day. Have you ever done the math on how much time you spend on Netflix? One thirty minute show can quickly turn into seven hours when you decide to binge on the entire season. Since entire series are available for viewing, it’s incredibly easy to get caught up in a favorite show and spend a large part of your day watching it. I highly recommend limiting how much time you spend on Netflix – you can always watch the next episode tomorrow! Sometimes getting things ready ahead of time can save us a lot of time. For example, I like to get things set up the night before when I know we’re going somewhere. With a baby, there’s a lot to remember and I find it’s easier to think through all of these things when it’s not the last minute. It’s also easier to find things when you’re not rushing around. I’m a big fan of plans. I used to be able to keep track of everything in my head, but as I’ve gotten older, I’ve learned that I need a spot to store all of those plans. This is where a good planner comes into play. I like to make my own planner sheets, but you can also buy one of your own. In fact, the new year is the perfect time to find a large variety of planners available. A time audit is a form of analyzing how you spend your current time. Basically, you write down every little thing you do during the day to see where you waste time. (You’re the only one that can define “wasted time” in your life since everyone values things in different ways.) This is also a great way to find those hidden pockets of time that you might be missing on a day to day basis. Get someone else to do things for you! If you have extra money, you can hire someone to do time consuming tasks like cleaning or cooking. If you don’t have extra money (like many of us – me included), you can still get help, especially if you live with others. It’s a matter of dividing up the workload around the house, office, or other location. You don’t have to be superwoman. It’s okay to ask for help! I have a really bad habit of saying yes to everyone and everything. I love helping others and trying new things, which leads to an excess of commitments. “No” is an excellent word to practice. 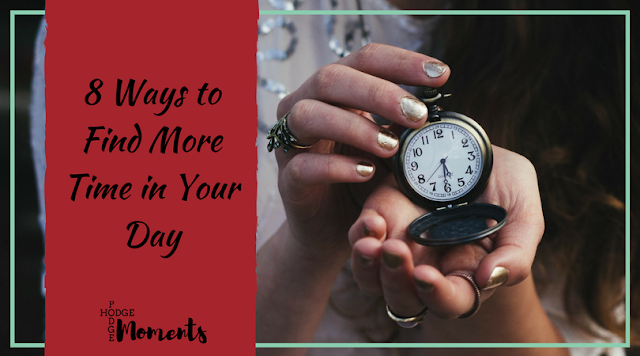 By saying no from time to time, you can clear up a lot of space on your calendar and in your day. Create routines that work for you. Routines are a great way to keep your house and life running smoothly. For me, I’ve found that having a solid morning and evening routine allows me to keep the house in order and start my day in a positive way. In fact, I recently did a stretch of a week without any help around the house and it went ten times smoother than I though it would and I owe it all to my use of routines in my day to day life. Multi-tasking can be a good thing depending on how you use it. I like to multitask when I’m doing basic chores that don’t take a lot of my mind power. For example, I’ll often talk to my mom on the phone while I’m folding laundry or doing the dishes. The chores are something that have to get done and talking to my mom is something that I want to do. By multi-tasking, I am able to combine them and in essence, create a little bit more time in my day. I could probably write a book about time management. In fact, I did create a course that walks you through creating your own unique time management system. (Use the code BLOGPOST to get the course for 60% off!) I’m going to wrap up this post here though so that you can go find some more time in your own day. I hope you’ve enjoyed these simple tips and I’d love to hear if any of them work for you in the comments below! I always struggle to ask for help but I am working on it. I totally get it! Asking for help is one of my struggles as well. I have to make a conscious effort to seek out help.